My fashionable stubble has turned into a light beard. It is light in patchy thinness as well as light in color due to all the grey. While it is a challenge not to shave this off as I continue to look more like the love-child of a transient and a lumberjack, I resist the urge because I know Movember is a good cause. 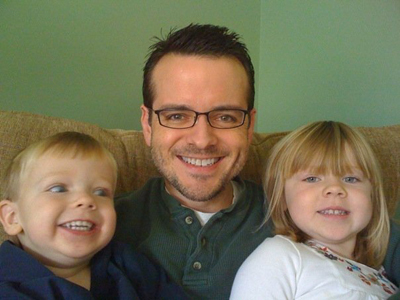 It is fortunate that my kids were willing to sit next to their old dad to make me look a little younger. I would like to thank Nicolle and Cristine for their generous donations to the Movember fund raiser. Take that, Prostate Cancer. Todd asked if he could support you by growing his whiskers out too. I declined. But, we will make a donation soon. Y'all look cute!